Can A 12V Power Supply Wire Be Run Through A Wall? 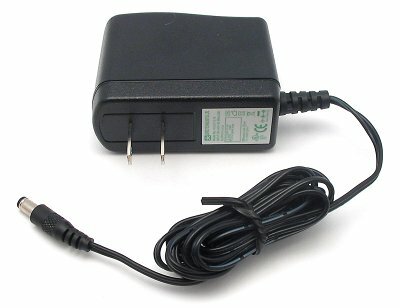 Is there any code-compliant way to plug a 12V power supply pod into an attic receptacle and have the 12v wire run to a wall mounted device in the room below? The receptacle is close enough to the device's location that the cord will easily reach. The device is up near the ceiling, and we're trying to avoid running the power cord (or a track) up the wall, in plain sight. Would this be considered a flexible cord under NEC 400 and therefore not allowed, even though it's only 12V? If we can't, we'll run Romex from the attic receptacle and install a receptacle for the pod. It would just be neater (and easier) to use the attic receptacle. Constructive ideas are always welcome. Doorbell wires, and thermostat wires for that matter, are not typically plu gged into a receptacle at the other end - at least not in my experience. This is a pl ug and cord device, with the plug being a 12VDC transformer. A doorbell transformer CAN be a plug-in device. 48volt nominal power on a POE device runs on Cat5 cable anywhere you want it - and the power injector is a plug-in device like your "wall wart" The "flexible cord" designation only applies to direct line connected/120 volt devices. Your Class 1 or class 2 power supplies are not covered by that code. Class 1 power-limited circuits are supplied by a power supply with an output that does not exceed 30 volts and 1,000 volt-amps. In general, a Class 2 circuit (operating at 24V with a power supply durably marked "Class 2" and not exceeding 100VA) is the type most commonly used. The NEC defines a Class 2 circuit as that portion of the wiring system between the load side of a Class 2 power source and the connected equipment. They are considered "intrinsically safe"
What you have is a class 2, power limited circuit. In general, you could run CL2 rated cable to connect the transformer to the load. But I think that's assuming the equipment is listed to be used that way. For example, if it was an alarm system, you would just run CL2 cable from the transformer that plugs into a receptacle to the alarm panel. You could run it through walls, between floors, etc. But that transformer has terminals for connecting the wire, the alarm panel has terminals, etc, ie, it's intended to be used that way and listed for use that way. If you take something like a router and cut the cable, put the power source in one location connect it to the load, it's essentially the same, but IDK if it's kosher because it's not listed to be used that way. To be safe, use "riser" cable (CLxR) "R" being the relevant factor. Put the trans in a firesafe box and let it rip. Good idea. Attic heat not so good for supply though. No, to be safe use Plenum cable. Plenum cable meets a higherr flamability standard than Riser and does not produce toxic fumes if and when it is overheated or burned. Certainly plenum rated cable is safer but not necessary unless this is going through an air handling space, Since he is penetrating a top plate to another floor it is a "riser". In any case, he won't be using either if he just drops the end of the cord from the wall wart down through the ceiling. Not the plan as that would show. The plan would be to come out of the wall behind the device so that no wires are showing. Besides, whether it was plenum or riser wire, that would mean splicing the wire to the wart's wire. There are no screw terminals on the wart, although that could certainly be replaced with a screw terminal wart. However, that means that the proper plug at the device end would be required - added to the new cable, either spliced from the old or a new plug. Now things are getting ugly even if not showing. Since most wall warts have a pretty short cable you usually will be splicing in another piece of wire anyway. It might as well be riser rated. On the grand scheme of things I doubt a few feet of non riser wire is going to change the fire that much but it is the rule when you are going from floor to floor. I'm assuming that this can't just be plugged into the attic receptacle and have the wire come through a hole in the wall. Code aside, I've seen it done a few times. I'd do it myself if the need arose. If I had concerns about damage I'd put a plastic tube in the wall. Ask the inspector when you apply for your electrical permit. Insurance companies like to see that all wiring is/was up to code if they are to pay a claim for any future damages. Power went out - generator kicked on - but only half the house is lit up? Replacing my Potterton EP2000 boiler controller with a Horstmann - wiring question ? Why no mains powered electric garden/trimming shears?